Samsung Galaxy On7, the dream gadget for Indians finally launched in India along with budget smartphone Samsung Galaxy On5( Rs 8,990). Samsung Galaxy On7 is on slae in Indian market through Flipkart from 3rd Nov priced at Rs 10,990 (Approx. CNY 999 in China) in Black and Gold colour variants.. It will counter Lenovo A7000 Plus. Lenovo K3 Note, Micromax Yu Yureka Plus and Xiaomi Redmi Note 2. Samsung has recently launched all new Samsung Galaxy J2 priced at Rs 8,490, Samsung Galaxy J5 launched at Rs 11,999 and Samsung Galaxy J7 at Rs. 14,999 in India. The all new Samsung Galaxy On7 supports 4G LTE, NFC, Dual-SIM, Micro Sim with 3G, Wi-Fi 802.11 b/g/n, Micro-USB, A-GPS, Bluetooth 4.0, 3.5mm audio jack, GPS, Glonass, and FM radio comes with a bigger 5.5-inch (720×1280 pixels) HD TFT display promising crystal clear wide-angle view perfect for your multi-tasking. 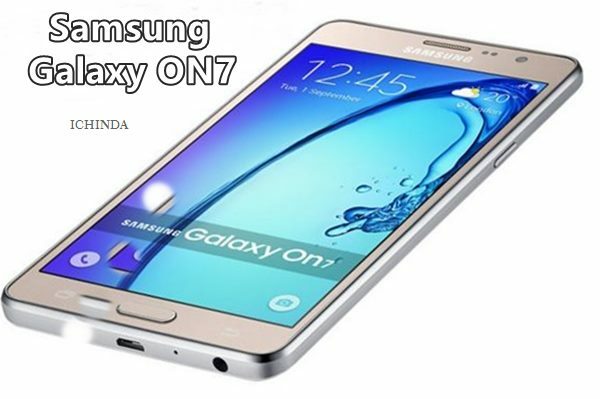 Samsung Galaxy On7 runs on Android 5.1 Lollipop OS powered by a 1.2GHz quad-core Qualcomm Snapdragon 410 processor with 2GB RAM which offers you superior gaming environment and allows to run your apps smoothly while 8GB internal memory and 128GB external memory offers you enough space to store your favourite music, video, games and apps. Samsung Galaxy On7 sporting a 13-MP Primary autofocus camera with LED flash and CMOS Sensor perfect for low light photography and 5-MP front-facing camera for clicking selfies and video calling packed with a powerful 3000mAh battery measures 151.8 x 77.5 x 8.2 mm and weight 172gm promising talktime up to 21 hours. At last few honest word, Samsung Galaxy On7 is The best choice for Indians.. What you think? Please be open to give your view. I want to purchase this Galaxy on 7 device from the shop. When will it be available in the open market? Galaxy on 7 is very good but it should be available in open market.